India on Tuesday rubbished Prime Minister Imran Khan's comments on the ghastly Pulwama attack, saying disclaiming Pakistan's link with terrorist attacks is an oft-repeated excuse by the "nerve centre" of terrorism. Internet services that were suspended in wake of the terrorist attack in Pulwama district of Jammu and Kashmir have been restored at 2G Speed on Wednesday. 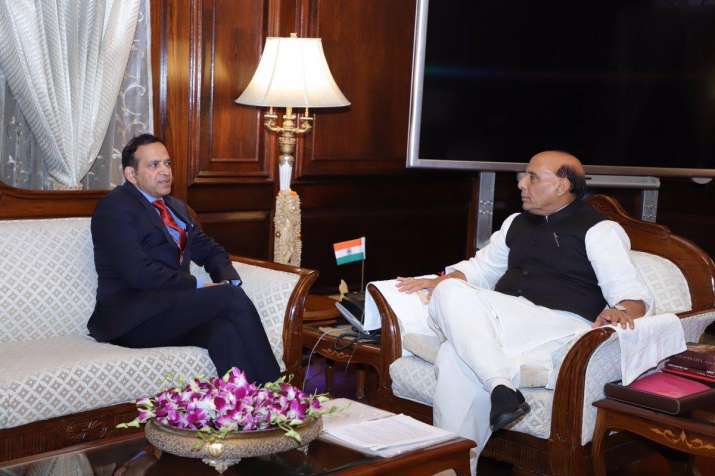 Union Home Minister Rajnath Singh on Sunday said the sacrifice of the Central Reserve Police Force (CRPF) troopers will not go in vain. "The security personnel have been given full freedom to take steps so that the sacrifice of the jawans in Pulwama will not go in vain," said Singh while addressing a BJP meeting in Odisha's Bhadrak.